This week Coleen Rooney had her placenta made into placenta pills. There has been a increase in famous women and hight profile women who have had their placenta encapsulated and made into other remedies and lotions such as placenta tincture and placenta essence, so Coleen Rooney is not unusual. Collen Rooney has really help raise awareness of placenta encapsulation and the amazing benefits women have been talking about. Although Coleen Rooney has only just started taking her placenta capsules I am certain that she is already feeling all those benefits, who knows, she may even send us another little tweet. 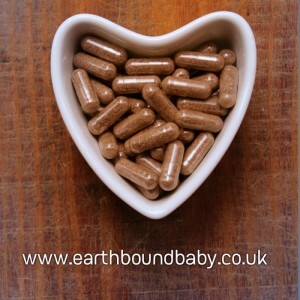 Â For know have a read through some of my recent placenta encapsulation cleints to see what they had to say about there placenta being encapsulatedÂ and made into placenta pills. Some clients also had placenta tinctures, placenta essence, placenta creams , placenta balms and placenta homeopathic remedies. “After having 2 children and having a long post birth bleed, waiting for my milk to come in and typical baby blues. I was so pleased that due to placenta encapsulation I has minimal bleeding for 3 weeks, my milk came in quickly and the doctor was surprised how quickly my uterus had contracted back down. I’m sure Amanda is the reason I’m already back in my normal clothes! I had no baby blues at all, and had byÂ 4 weeks felt completely myself again. Amanda was such a great help, listening to my questions no matter how silly I thought they were. Amanda has encapsulated my placentas for my two babies, she is incredibly efficient and also sensitive and caring at this crucial time in a mother’s life. I have a history of anaemia both during pregnancy and also when I am not pregnant, but having taken my placenta capsules after both births my iron levels have remained steady and healthy. In my experience, placenta encapsulation has also helped hugely with my mood levels following the birth and with my milk supply. Every midwife I spoke to about placenta encapsulation was totally positive about it and encouraged me that there is very good medical evidence for its benefits. They have all said they wish it were used more as they see obvious benefit to mother and baby. Amanda’s practical guidelines were clear and easy to follow for a hospital birth. She came to collect the placenta promptly and delivered the capsules in record time! Thank you. I couldn’t recommend Amanda’s placenta encapsulation more. I suffer from serious hormone in-balances and was very aware that I could be all over the place emotionally once I gave birth as many mothers are. My twin daughters were born very early and in hospital for 6 weeks and one is back in hospital again now due to complications. Despite all of this I have been calm and steady as anything. My energy levels have been incredible despite all the worry and the sleepless nights and my milk production, even for feeding twins has been incredible. I have a freezer full of excess milk, even the doctors are amazed at how good my milk has been. I was also back to my pre-pregnancy weight within a matter of weeks. I know all these side effects were down to the wonders of the placenta. I would encourage everyone and anyone to do it.